Spring has finally arrived in the Montreal area. It is about time! Summer is my favorite season. 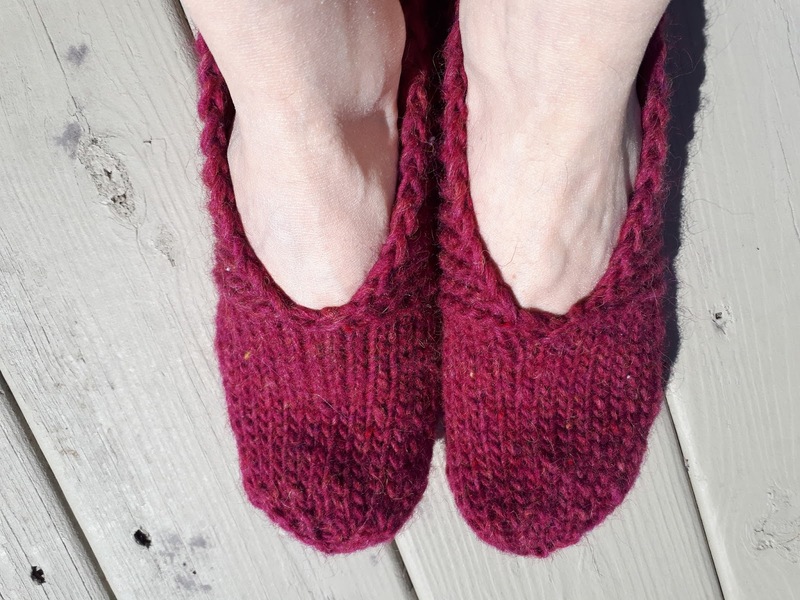 This winter, I have finished my Simple House Slippers. They are knitted with some gorgeous red Icelandic wool. A good high school friend thought about me during her trip in Iceland. When she visited me after many years of not seeing each other, she gave it to me. It was a lovely surprise! I don't know if I will wear them much. I will most likely keep them for when visitors come. See my project page on Ravelry for more details. 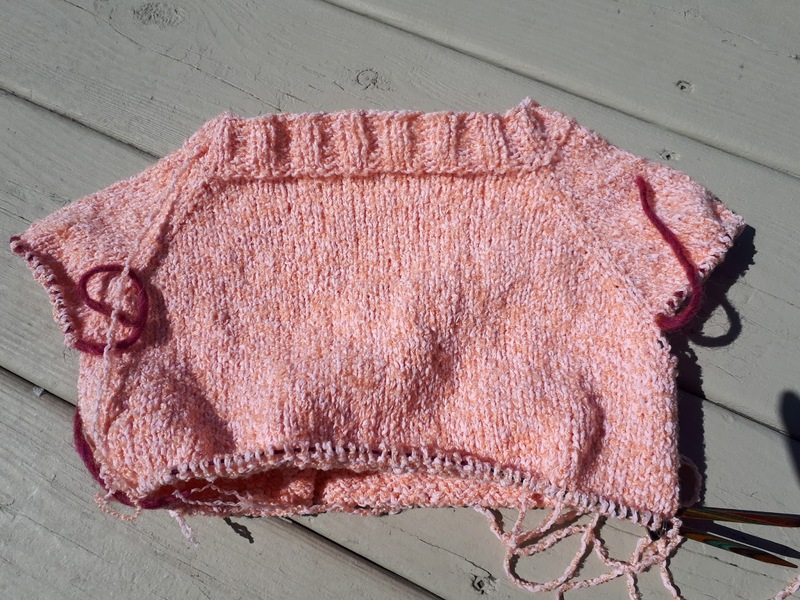 Since then, I have started again this sweater for my daughter. The result was a little tight so I switched to larger needles and it is much better. 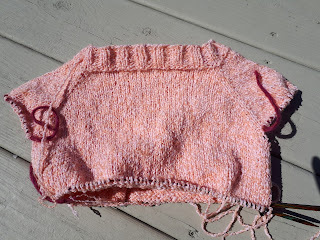 It is based on the pattern Fond of you but it will be quite different in the end as I am not making the stripes, nor the stitch pattern and my daughter says that if it a summer sweater, it has to have short sleeves. 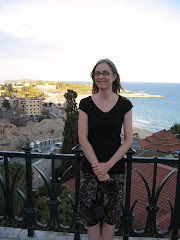 So, be it :) If all goes well, it should be ready for the summer as it is mindless knitting and no sleeves! What are your summer projects? I'm thinking of casting on a Cadence to use some yarn my mom gave me. It would be for the next winter. Those house slippers are perfect and oh my the color! Why would you only wear them when you have visitors? 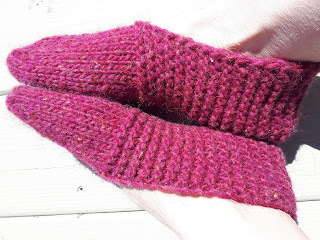 I love the Cadence sock pattern- it keep things interesting. Funny I was just thinking of knitting up that pattern again. A yarn souvenir? How nice to be thought of. I think the slippers are lovely.